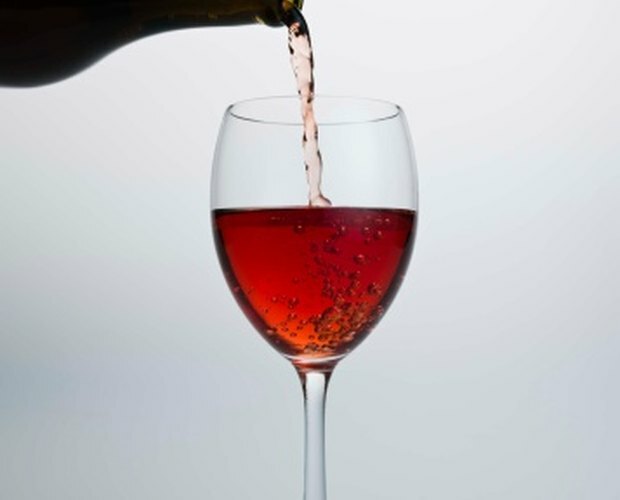 The process for putting corks in wine bottles can range from using a simple hand corker for individual bottles to a sophisticated system costing hundreds of thousands of dollars to bottle wines commercially. The corks themselves can be made of natural oak bark imported from Portugal and Spain or extruded plastic, which is made most commonly in Europe or North America. We will focus on how to hand-cork wine. 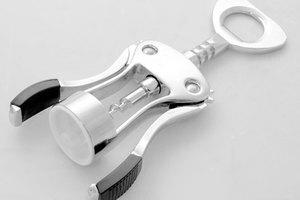 Choose a wine bottle with a 3/4-inch opening. Not all wine bottles are designed to be corked; some are designed for screw tops. Buy corks made from natural oak bark from a winemaking supply shop. Choose plastic corks only if you buy or rent a stand corker; they won’t work with hand-corking devices. Go with a straight cork for the best seal. Choose the grade of cork depending on how long you wish to cellar your wine. Soaking or steaming the corks will make them easier to insert into the bottles. Soak the corks overnight in a mixture of 3 tbsp. potassium metabisulfite to a gallon of cold water. Or steam the corks for one to three minutes in a pot of boiling water that you have removed from the stove. Do not exceed the steaming time; the corks will become too soft and may deteriorate more easily when stored. 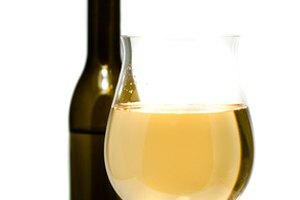 You can buy a handheld or stand corker or rent one from a home-brewing or home winemaking supply shop. Corkers work by compressing the cork and inserting it into the bottle in one motion. Place a cork in the device, position the bottle and pull the lever. Hand corkers work well, but the process is labor-intensive. If you plan to bottle more than 24 bottles, use a stand corker to make the job faster and easier. Once corked, keep the wine bottles upright for two or three days to ensure a good seal. Then store the bottles on their sides with the wine touching the corks, which helps to keep the cork from drying out and cracking. Make sure you have the right type of bottles. 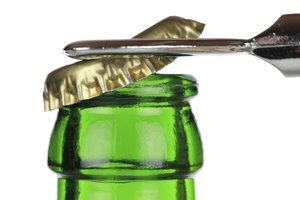 Wine bottles meant for screw tops will not have the right-size opening or a long-enough neck to accommodate a cork. Consider renting your corking equipment instead of buying it. You can then get a more expensive stand corker, which will make the job faster and easier.